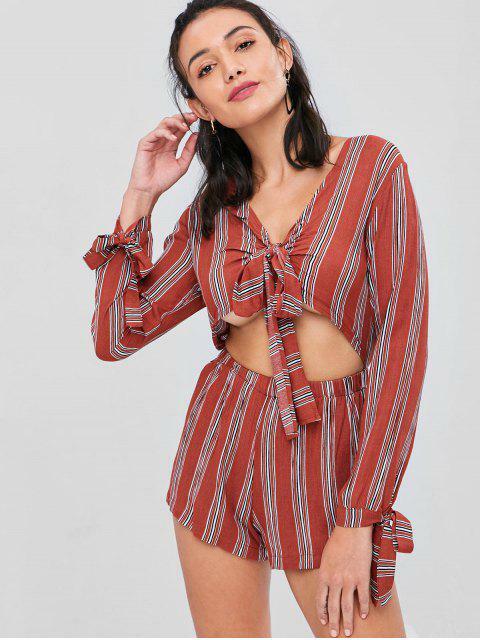 [25% OFF] 2019 Tie Front Striped Long Sleeve Romper In MULTI | ZAFUL ..
Work the hottest trends all in this one chic romper. This romper features knotted detail, a waist cutout, a stripe print, and long sleeve with tie details. Style this piece with cross strap sandals and a suede clutch bag.